A new 3D printing campaign on Kickstarter has surpassed its goal of $10,000 –and it only took a day to reach it! 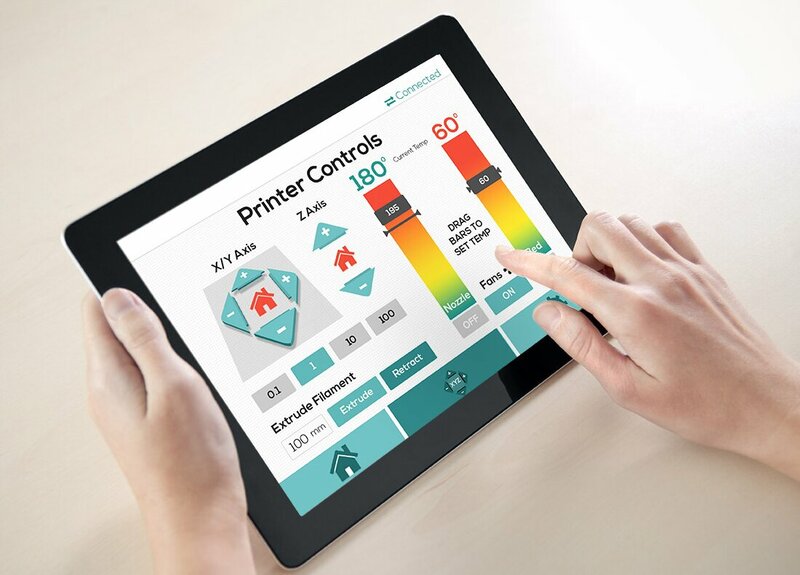 The project is AstroPrint, wireless 3D printing software that connects your smartphone, tablet, or computer with your 3D printer, allowing you to control the printer from your phone or tablet. It is said to make 3D printing simple enough for almost anyone to use. This software essentially turns your 3D printer a one-click device, automatically finding the ideal setting for your prints. This will not only make it easier to print, it will also dramatically reduce the number of failed prints. The software is easy to use. Simply connect the box, known as the “AstroBox,” to your 3D printer with a USB cable. The box creates its own Wi-Fi network to allow you to connect with your phone, tablet, or laptop, to control your 3D printer from wherever you please. And if you install a small camera, you can watch your printer from anywhere, no need to be in the same room as your 3D printer to control it. Because it works with a wireless connection, it is even possible to control the device from a long distance connection – as long as you have access to the internet. The goal behind the AstroPrint project is to make the 3D printing process a better and easier experience for users. By doing this, it increases the chances of more consumers becoming interested in 3D printing, and in turn, it just might bring a whole new wave of enthusiasts to 3D printing.